Come for the Greenville Street Meet! 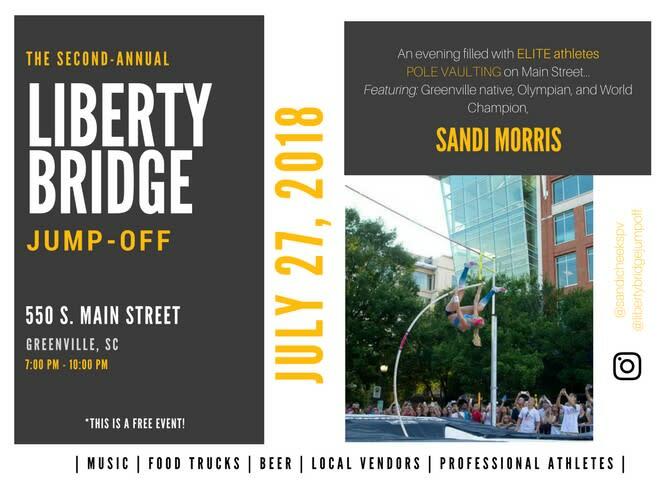 This meet will be hosted by the American Track League, in conjunction with the Georgia Track Club, featuring Rio de Janeiro Olympic Silver Medalist and Greenville native Sandi Morris! 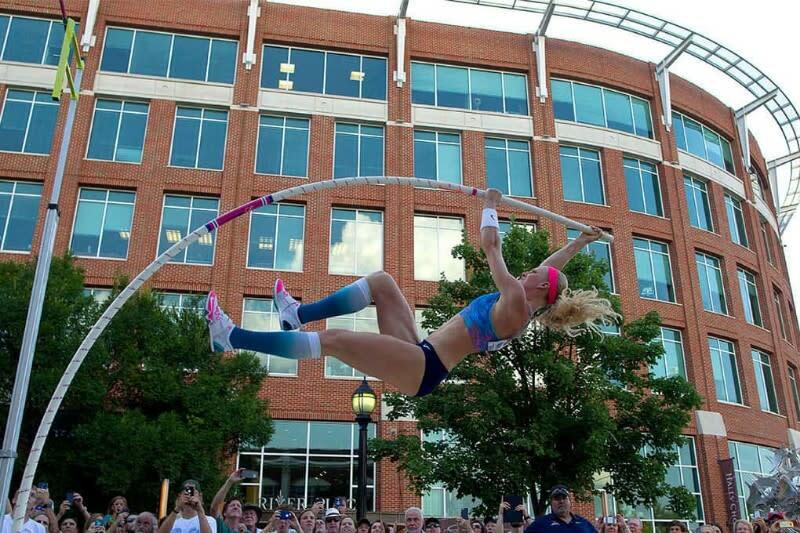 Enjoy MUSIC, DANCING, FOOD, and BEVERAGES, as well as Elite and Olympic Pole Vaulters vaulting in the middle of Downtown Greenville! The American Track League invites YOU to come join the PARTY ON THE STREET! The Elite competition will include the Women's Pole Vault and the Men’s Long Jump. This is a unique and fun atmosphere not only for the athletes participating, but for the spectators and fans as well! What better way to enjoy the beauty of this sport than by being centered in the heart of Greenville, SC - around so many amazing local businesses - and with FREE Entertainment! The athletes look forward to seeing everyone this summer, and can’t wait to enjoy an evening dedicated to the pole vault and long jump!